Looking for accountants in Perth or Karratha? Propel Business Group are Perth & Karratha’s premier accountancy and advisory firm and we want to move you forward into a future that is built on wealth, trust, and security. Let Propel guide you and your business into a new world of success. 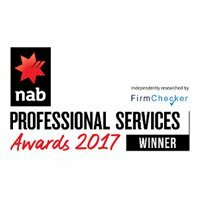 Our team of experienced and professional accountants in Perth and Karratha are passionate about delivering exceptional service. Let Propel Business group give you the momentum you need to move swiftly into a brighter, financially secure future. Our experienced team will lead the way to personal and business success through their commitment, passion and professionalism. Press play on the future you dream of having. Watch our video to find out more. Throughout the good and the bad, Russell has been helpful, he has been wise, he has been consistent, thorough, generous, supportive, encouraging, and most all he has been extremely patient! There were certain aspects I had in mind that were important to me over and above just knowing how to sort out my PAYG tax burden, I wanted to explore aspects that reached well into the future. For instance: What would be the best way to purchase property for future growth, asset protection and family benefits for my 4 children down the track? On behalf of myself, my wife, my four children and Oztopia, I whole-heartedly recommend anyone who may be seeking out a skilful accountant to see Russell and his team at Propel Business Group.He’s not only my accountant, but also part of our family. Click Here to download full reference. Being a small business I didn't have the budget for extravagant or un-necessary trusts and company structures. Darren Jones was easy to contact, a great communicator and made the process of establishing these structures fast and stress-free. Propel Business Group has been Accountant for nearly 20 years now. I first met Russell when I was a struggling Hotel Employee needing the best tax return possible. From our day’s back in Karratha is has been a pleasure to watch Russell build, develop and grow Propel Business Group as a successful business it is today. Through our journey Russell and his team have helped me establish my own company, with Russell’s valued assistance in my acquisitions, setting up my family trust, setting up my chartered accounts, company tax, pay roll tax, federal audits, tax law and advise has been exemplary. Propel Business Group have been my Company Accountant since 2004, being a local business Propel Business Group are a major player, have provided exceptional taxation and business solutions applicable to my Industry. 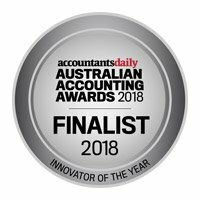 They are able to offer a full scope of business services to ensure my Company is running at an optimum and a profitable level, offering qualified business health checks, financial planning and long term business analysts, I am more than confident that my Business is kept up to date with taxation legislation and obligations. Having been through a recent Audit from the ATO, Propel Business Group's professional legal advice and assistance made this formality a minimal impact to my Business operations. LET US HELP YOU OR YOUR BUSINESS SUCCEED! Whilst the Propel Business Group logo is utilised by all members of the Propel Business Group, each member of the Propel Business Group is a separate legal entity in its own right and is not in partnership with any other members of the Propel Business Group.